Brother Philippines continued the cancer awareness tradition in the Philippines by taking part in the recent "Relay for Life" organized by the Philippine Cancer Society. 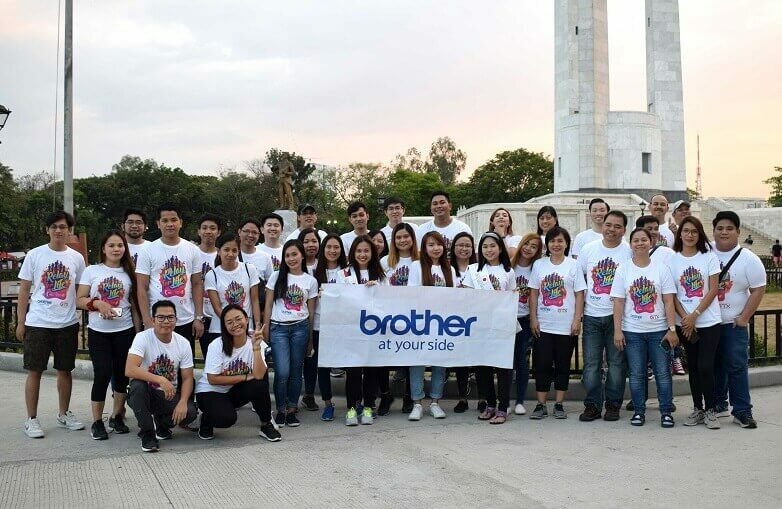 Brother International Philippines Corporation (BICP) and sister company Brother Industries joined the 24-hour cancer awareness and fund-raising vigil held at the Quezon City Memorial Circle, with BICP president Glenn P. Hocson leading the contingent of volunteers. Brother employees and business associates took turns in going around the oval track of and joined the vigil, themed "Heart Beats Cancer," alongside cancer patients, survivors, and support groups. He added that joining such events is also the company’s way of providing its employees, as well as its partners, opportunities to give back to those in need of compassion and support, while making them aware of the health risks that may lead to cancer. Brother Group is into supporting cancer awareness initiatives, particularly the "Relay for Life," as part of the Group’s "Golden Ring Project," where different offices of Brother worldwide participate in the event and other cancer awareness programs in their respective countries. The Brother Group’s efforts wish to reinforce the community and personal spirit to conquer the killer disease.